The Bard Medical Clean-Cath 16" Intermitent Coude Catheter - 10 FR are available in a wide selection of materials, configurations and French sizes. The Bard Medical Clean-Cath 16" Intermitent Coude Catheter are available in a wide selection of materials, configurations and French sizes. It features finger grips for ease of use, flexible funnel. 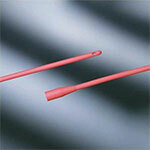 The Olive Coude tip catheter makes it easier to thread the catheter past the prostatic curve. Coude tip catheters are also helpful for insertion difficulties due to narrowing of the urethra and blockages in the urethra pathway. These Catheters are individually packaged, 100% Latex-free, single use and sterile. Olive Coude tip makes it easier to thread catheter. 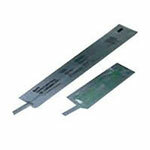 Reduces the amount of insertion difficulties. 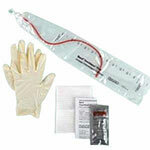 Contains 1 Bard Medical Clean-Cath 16" Intermitent Coude Catheter - 10 FR.